Dubai, UAE – September 13, 2017: In an attempt to creatively illustrate how advancements in technology trump the long-lived difficulties of extreme temperatures faced in the Middle East and Africa, LG Electronics (LG) conducted an experiment to demonstrate how the LG DUALCOOL air conditioner still cools, even when the outdoor temperature spikes to 65 degrees Celsius. 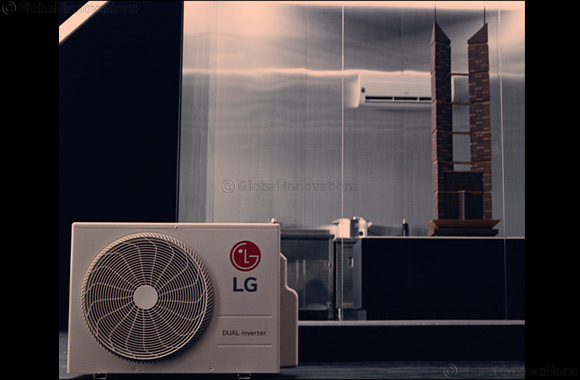 To showcase the performance of the LG DUALCOOL, LG tasked the winner of the World Chocolate Masters Competition – Frank Hasnoot – who stated that in order to build chocolate sculptures, the indoor temperature needs to be contained to 20-degrees Celsius. Hasnoot and his team of chefs competed against a second group of chefs in the same room, with the same ingredients, equipment and resources but separated by glass walls. The only difference was that Hansoot’s station was equipped with the new LG DUALCOOL whilst the other was fitted with a more conventional one. Historically speaking, even though the air conditioning units are functioning, once the temperature outdoors passes a certain level, indoor temperature will also gradually increase as the conventional air conditioners cannot keep up with the extreme heat and this experiment highlighted that. As the outside temperature began to rise, from 55-degrees Celsius to 65-degree Celsius, the two groups of chefs attempted to masterfully construct the chocolate towers. The workstation with the conventional air conditioning unit experienced the chocolate melt at as soon as the indoor temperature reached 38-degrees Celsius, while the room with the LG DUALCOOL air conditioner was still maintaining a constant temperature of 20-degrees Celsius. By utilizing the LG DUALCOOL air conditioner, the 240-kilogram tower of chocolate was not just completed, but stood tall and proud. The LG DUALCOOL air conditioner kept cooling to maintain the optimal indoor temperature level, even as outdoor temperatures became increasingly high - showcasing its true innovation, power and efficiency especially in the blistering heat felt during the peak summer season. The powerful DUALCOOL makes use of cutting-edge LG technology, employing the Tropical Inverter Compressor™ in an air conditioner for the first time to offer exceptional energy efficiency. Cooling technology has advanced greatly to improve our comfort and health in addition to becoming much more affordable over the years. This has allowed the air conditioner to become much more than just a solution to cooling or heating needs for homes and offices.